Sunday April 24th is the 100th anniversary of the start of the 1916 Rising and the reading of the proclamation. To mark it social campaigner and member of the Council of State Ruairí McKiernan has released a powerful short video called ‘A New Ireland Rising’. It is a stirring reflection on 1916 and a call to action for community leadership. It is available on YouTube (6 mins, 55 secs) or watch it below. “It started out mainly as a personal reflection, a way of trying to capture how I feel about the state of the nation and our role as citizens” said Cavan man McKiernan who was appointed to the Council of State by President Higgins back in 2012. “I wanted to find a way to pay tribute to the injustices and suffering this country has been through but also to celebrate our resilience and our many achievements. Looking at our political system it is clear that there is a lack of visionary leadership at the moment. However there is so much we can do at an individual and a community level to create change. As the saying goes, ‘when the people lead, the leaders follow’. 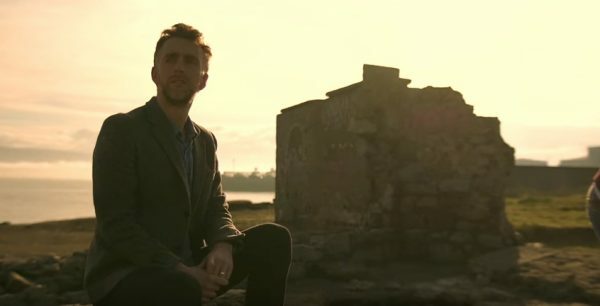 The video is collaboration with film maker Myles O’Reilly, who is well known for making music videos for Oscar winner Glen Hansard, and features the enchanting music (Emer’s Dream) of acclaimed violinist Colm Mac Con Iomaire. McKiernan is a Fulbright scholar, the founder of the SpunOut.ie youth website, a co-founder of the Uplift campaign organisation, and a co-founder of A Lust For Life, a new wellbeing movement he helped set up alongside Niall Breslin (Bressie), his wife Susan Quirke and others. The video provides some hard hitting commentary yet carries a rousing and hopeful tone. It is available on YouTube (6 mins, 55 secs) https://youtu.be/S-_efraoSQA and at www.newirelandrising.com. They did not foresee the civil war, the partition of the country, continuation of mass youth emigration, the giveaway of natural resources, the surrender of sovereignty and neutrality, the cruelty of industrial schools, Magdalene laundries, psychiatric institutions, and direct provision centres, nor the violence of bloody Sundayand beyond. We must stand together, love together, and create together – for whatever our beliefs, our background and abilities, it is community that can heal us, inspire us, uplift us, and empower us to be whoever we want to be. We stand at a threshold of magnificent possibility. We face major challenges but so many of the limitations to our freedom exist in our own minds. The linger in pools of fear that hold us back saying we’re not good enough, or that we’re not powerful enough.